Did you miss Sunday’s deadline to sign up for health insurance, due to trouble with the website, long hold times waiting for telephone assistance, or just snowy weather? You may be in luck. 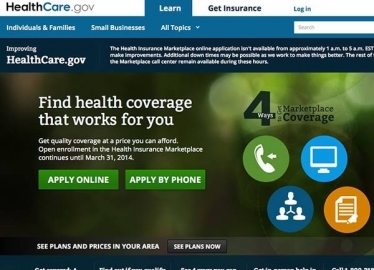 February 15 marked the official end of the open enrollment period, and yesterday the White House touted signup numbers that exceeded their goals: more than 11.4 million Americans (including lots of musicians) purchasing private insurance on the exchange, and more are receiving coverage through expanded Medicaid. But If you experienced any trouble enrolling, you may still be able to get subsidized coverage and avoid paying a penalty. California, Colorado, Connecticut, Hawaii, Maryland, Massachusetts, Minnesota, New York, Rhode Island and Washington, D.C., all said they were extending sign-up deadlines for those who had problems or were in line Sunday. Massachusetts and Rhode Island explicitly cited bad weather as a factor. Add to that list Washington state, which has extended its deadline all the way until April 17, in part to allow people who were surprised by the penalty showing up on their 2014 taxes to enroll, and avoid the steeper 2015 penalty. It’s also worth noting that if you live in a state that is expanding Medicaid and you meet the eligibility requirements, you are generally able to enroll in Medicaid at any time during the year. This is good news for low income musicians making 133% of the Federal Poverty level or less. People who are stuck in the coverage gap won’t be subject to a tax penalty, but one potential solution to get coverage is simply to do what you can to increase your income to the level where the subsidy kicks in ($11,670 for individuals). Enroll with that figure as your estimated income, and then do your damnedest to get your income up to that level for your 2015 taxes to avoid any possibility of repayment penalties. Make sure you’re reporting all your income from house shows and t-shirt sales; whatever it takes to get up to that line. Now, you may look at the cost of available plans and determine that the only option you can afford is a high-deductible “Bronze” plan, or a bare-bones “catastrophic” plan and wonder whether it’s worth the extra hustle to pay that monthly premium. The short answer is yes, and not just because the tax penalty for failing to get coverage is bigger this year. All the individual plans available through the marketplace have an out-of-pocket limit of $6,600 or less, which means you’re protected in the event of a worse-case scenario like an emergency surgery or chemotherapy. As we’ve discussed before, musicians have historically gone without health insurance at a much higher rate than the general population. Hopefully this extended deadline will be one more chance for musicians to get covered, and have a little extra piece of mind.